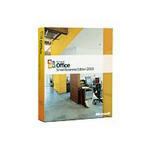 Microsoft Office Professional Edition 2003 can help you and your organization communicate information with immediacy and impact. New and familiar programs along with improved functionality help you build powerful connections between people, information, and business processes. 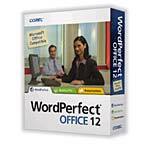 WordPerfect Office 12 is a feature-rich office productivity suite that delivers powerful word processing, spreadsheet, presentation and address book functionality that's completely compatible with other office suites, including Microsoft Offfice. 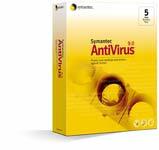 Symantec AntiVirus 9.0 Business Packs provide powerful, easy-to-manage protection - automatically removing viruses, worms, and Trojan horses from your desktops and network servers, delivering timely updates, and defending your business against known and emerging threats. Never go online without the latest anti-virusprotection. 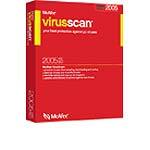 Fast-spreading mass-mailing viruses, worms and Trojans like Mydoom, Bagle and Sasser can easily infect exposed PCs over dial-up or broadband connections, forward themselves to your email contacts and even help remote hackers hijack personal information. WordPerfect is back! Now featuring suite-wide enhancements to compatibility along with powerful new productivity tools. 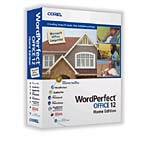 Bring the power of WordPerfect Office to your home. With WordPerfect Office 12 Home Edition, your household has the security, versatility and power of WordPefect at your fingertips. 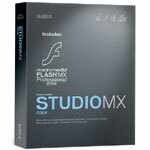 Studio MX is the professional tool for building Web sites and applications - now available bundled with Flash MX Professional, which lets you build interactive Web content complete with data connectivity, video integration and device deployment. 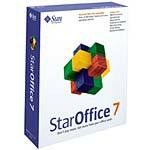 StarOffice 7 Office Suite is the world's leading office productivity suite on Linux and the Solaris OS, and the leading alternative office suite on Windows. It offers word processing, spreadsheet, presentation, drawing, and database capabilities. Its familiar interface enables quick productivity and results for the business user, and elegant output for the consumer. 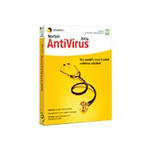 Symantec's Norton AntiVirus 2005 removes viruses, worms, and Trojan horses automatically, without interrupting your work. New Norton Internet Worm Protection blocks certain more sophisticated worms (such as Blaster and Sasser) before they enter your computer. 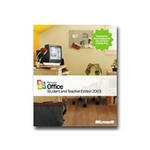 The complete personal and business productivity suite - priced just right for education customers. . Microsoft Office Student and Teacher Edition 2003 is a suite of popular Microsoft Office personal productivity applications that is priced affordably for students and teachers in grades K - 12 and institutions of higher education. Today more than ever people and companies are using software tools to deal with information. 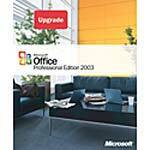 Office 2003 Editions include new and enhanced functionality to help people take advantage of this information, enabling them to communicate more effectively, collaborate with co-workers, and improve business processes.